We take a comprehensive approach to every project we work on – no matter how big or small. We coordinate everything from conceptual storyboard creation to media delivery. We believe in being extremely well prepared. This means we talk about your goals and expectations up front so that the production of your video is stress free, fun and delivers results. 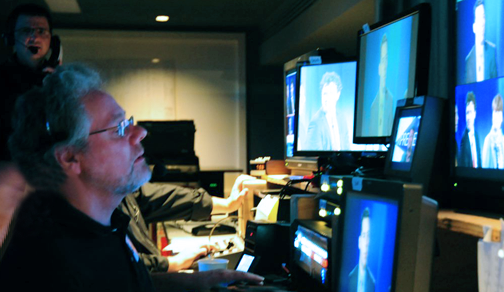 For many of our clients, video production isn’t a normal part of their daily routine. Therefore, when starting a project, they often ask what’s involved in the production process. We like to break it down into three key phases: pre-production, production, and post-production. Conceptualization: Have something in mind, but not sure where to begin? 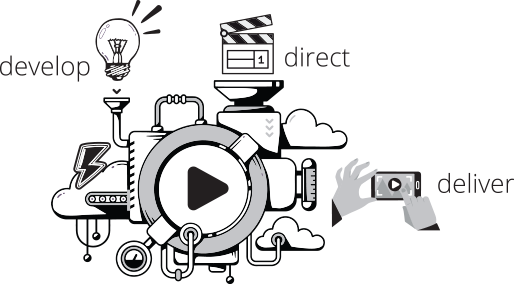 We’ll consult with you to determine the best type of video that engages your audience and meets your objectives. Messaging and script writing: We’ll help you create impactful messaging with the key messages you want to drive home. Storyboard creation: Creating visual representations for your video help both you and your production team understand the story flow, transitions, and what your video requires to make it successful. Location scouting and surveying: Selecting the right location can be one of the trickiest parts to determine in preproduction. Things to consider—from room tone, ambient noise, lighting, relevancy, space, to weather—can all make or break a shoot. If our brand-new 10,000 square foot video production space doesn’t meet your needs, we’ll help you find the perfect location by scouting it out and getting permission first. Finding quality talent: Maybe you need an experienced interviewer or on-camera demonstrator for your new product. At Production Craft, we’ve auditioned and cast thousands of voice-over, and on-camera talent and will help you choose the right one for you. Detail-driven project management: With video production, there is no such thing as “overplanning.” Make sure to work with a company that understands your goals and can take care of everything you need. Our unparalleled process has helped clients for over 35 years. Directing: Having a director who realizes your vision is crucial. This is the person who coaches both the actors and the camera crew to get the best possible shot. Action: Like a well-played orchestra, in the production phase, we bring together the set, lighting, talent, and all of the preproduction planning items to make your artistic vision come alive. Equipment supply: We own, operate and insure all of the equipment. So, you don’t have to worry about equipment shortages or break downs. Editing: Audio and visual: We’ll take a holistic look at what was shot and extract the most compelling pieces to tell your story and drive home the actions you want viewers to take. Animation: When needed, animation can help explain sophisticated ideas, processes and concepts in easy-to-understand ways. Color correction: Sometimes it’s more productive or essential to correct footage in post-production than spend hours trying to fix an imperfect situation on location. In addition, color grading enhances the look and matches shots for a seamless visual experience. This is just another tool we use to expertly deliver your message. Audio: Music, voice-over and sound effects are the finishing touches to connect with your viewers on an emotional level. Premiere: This is the moment we’ve all been working for: when you get to watch your project unfold into a powerful moment that is engaging and impactful.